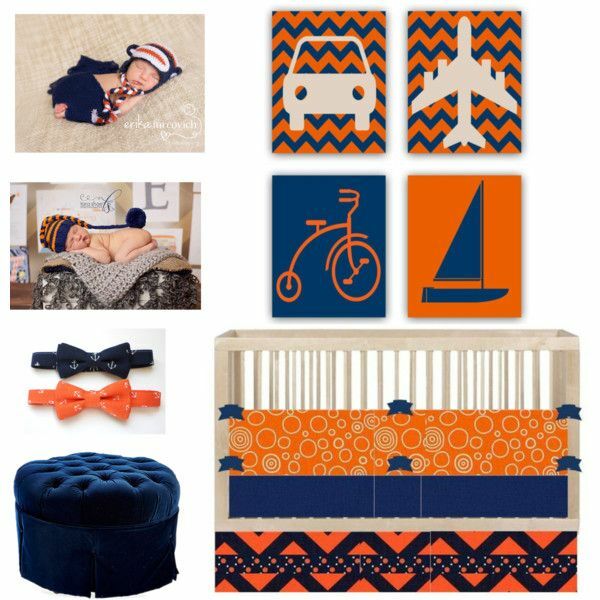 Orange and navy blue such a beautiful combination colors for a baby boy nursery or boys bedroom! Transportation themes for boys will never go out of style! 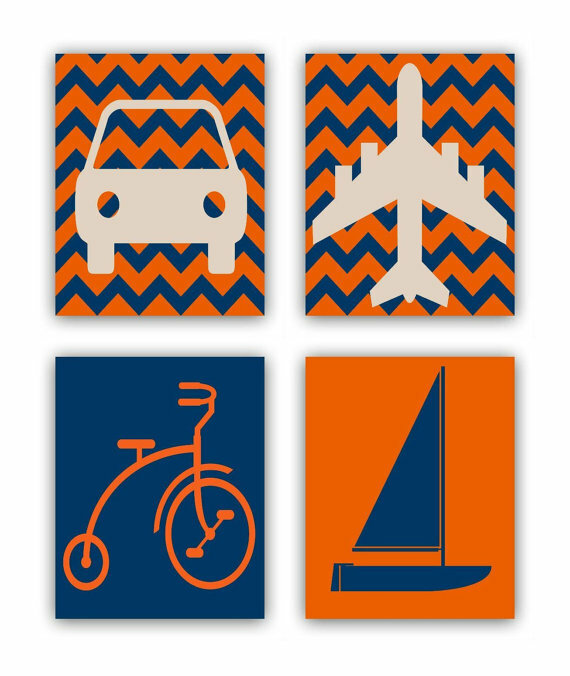 You can see here one of my favorite collection of items for a transportation themed nursery room!